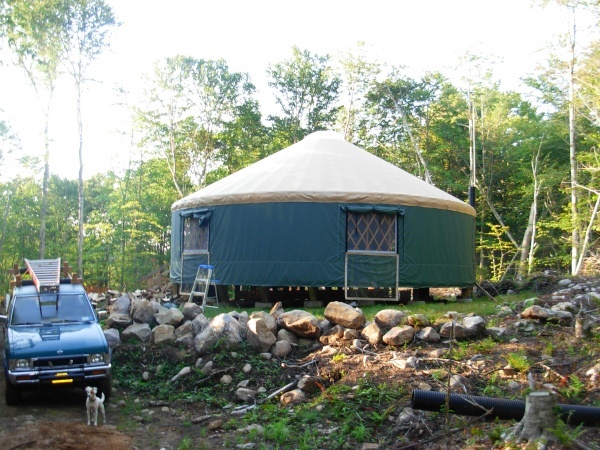 We setup my yurt on a Spring day in 2012. I use it primarily for my hunting camp up in the Adirondacks. I have 2X6 tongue and groove pine flooring on it that I plan on finishing some day. We went with the green walls so it would blend better with the foliage in the area. At night it is downright beautiful.